Md. 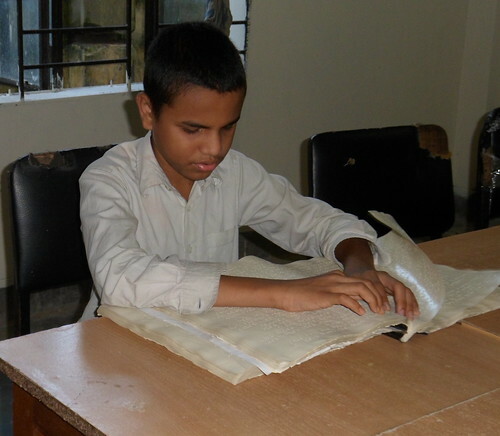 Ariful Islam practices reading Braille at the School of Happy World. Children come from Bangladesh's rural areas to a residential facility in Dhaka where they learn Braille and gain independent living skills. Photo by Amanda Lasik, 2011 Peace Fellow for BERDO in Bangaldesh.